Come and enjoy a variety of Mexican food and listen to Latin music which will warm your blood for the summer that lies ahead. Plenty of seating available as well as a play area to keep the little ones busy. 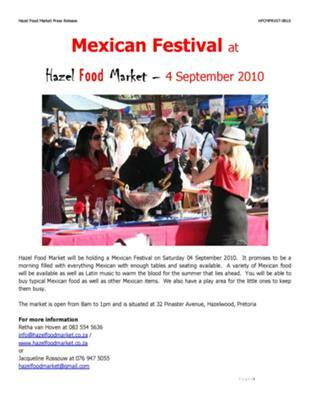 Visit our website www.hazelfoodmarket.co.za for more information.